A) Seafood Olio Pasta (Spicy) – I love the elastic texture of the spaghetti which was tossed a good mixture of olive oil and spicy sauce. Of particular mentioned was the charred taste which added to it’s nice aroma. 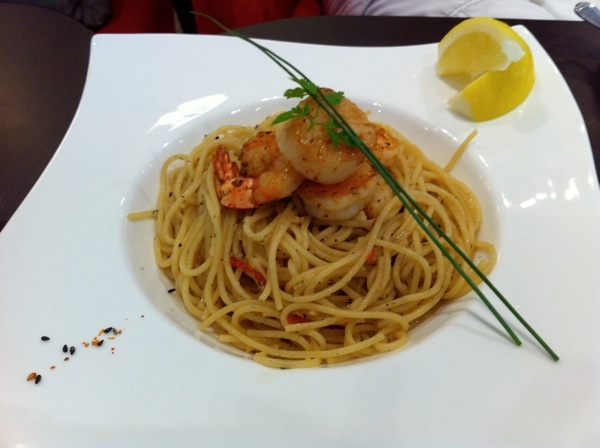 The pan fried seafood – Prawns and scallop were fresh and juicy. Absolutely a nice combination to start your meal there. B) Combo of fried seafood bites – This dish is suited for any occasion especially tea breaks. 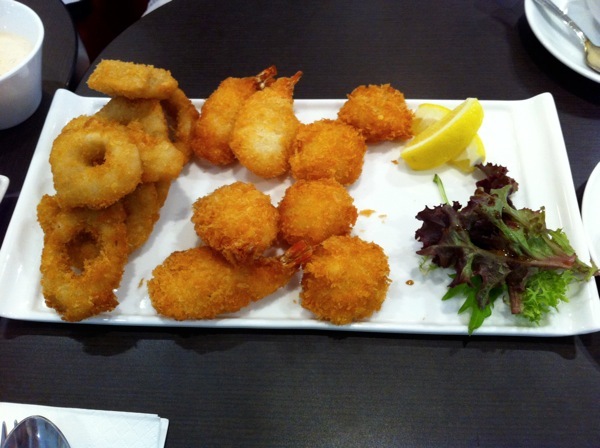 Portion is good for 2 to enjoy and the combo set comes with prawns, scallop, calamari. 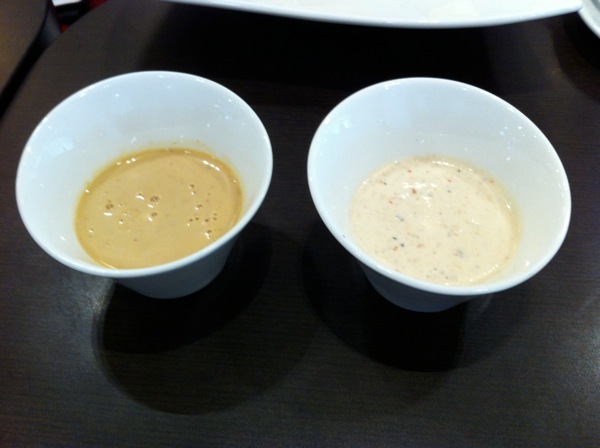 There are 2 types of sauce – Light dark sauced mayo and a light spicy seafood flavored white mayo. Personally I love the latter. Once again, the fried seafood is fresh. Do head down to the major TVC branches and have a try of these 2 recommendations.